What didn’t I learn? Reading through a National Geographic piece about a bald eagle snatching up a fox who himself was snatching up a rabbit, I learned that bald eagles are kleptoparasites, which means they steal food or prey from other animals. 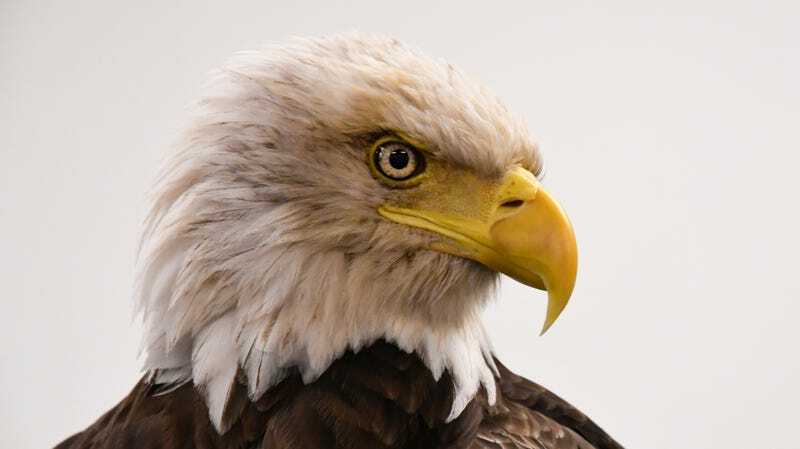 This makes the mighty bald eagle an animal kingdom equivalent to your one friend, let’s call him Tom, who insists he doesn’t want fries, he couldn’t possibly eat, then eats your fries when they come because they just smell so good. Suddenly, no more fries. Tom is a kleptoparasite. Kleptoparasitism is also come times called piracy. I learned that. I learned that this fox kit is pretty badass. I learned that wildlife and nature photographer Kevin Ebi is very good at his job and has incredible timing. I learned that Benjamin Franklin didn’t think the bald eagle should be a national symbol for the United States because they steal food from other animals, and that he thought wild turkeys were “more respectable” birds. Immediately following the incident, Ebi went in search of the fox to see if it was injured. Surprisingly, he says he found it without visible marks and seemingly unfazed. It was as if nothing had happened, he recalled, and only a few frames remained of the pirate attack. This terrific National Geographic story. Not only did it alert me to Ebi’s amazing photo and the term “kleptoparasite,” it also features a little interview with Ebi about his experience. Oh, and they have video. You can find the rest of Ebi’s photos of the event here.